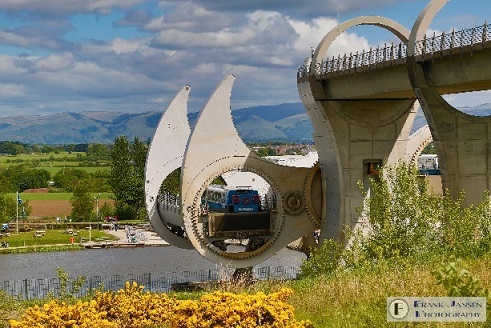 Frank gives us a superb photo of the Falkirk Wheel, a type of lock Hubby and I would have loved to encounter when we had the boat. There are many forms of lift that come to mind…….. giving someone a lift home, the lifts in a building, lifting something up, having a face lift, or lifting one’s spirits. I’m usually a cheerful soul, but when I’m down, I’m really down as there’s no middle level. Last year when things started going down the tubes with an increase in our river licence and a massive hike in mooring fees, other financial worries were also beginning to amass and I ‘lost it’ in the launderette. Our friends knew things were tight already, but had no idea just how much until that day. They went off shopping and she came back with a bunch of daffs. That was almost enough to set me off again, but in a nice way. Such a simple gesture, but it raised my spirits no end. This entry was posted in blogging, Challenge, photoprompt and tagged fpj-photo-challenge, Tuesday photo challenge. Bookmark the permalink. I’ve never seen a Falkirk wheel. What an interesting contraption. I’m glad the daffodils gave you a lift and hope all worked out in the end. We took the boat up for brokerage in April 2017 and once sold started house hunting. Hard to believe we’ve been here almost a year now, but we know we made the right decision. The couple who brought me the daffs gave us a rose bush when my Mum died and that has bloomed twice so far. It was indeed a lovely thought. Pingback: Tuesday Photo Challenge – Round Up 124 – Dutch goes the Photo! I have never seen anything like that — a Falkirk Wheel. I’ll have to use Google to see if anything like that can be found in this state (or the ones next door). We hadn’t either, though knew one existed. It would have been great to take the boat up in it.